Weighty Matters: The New York Times, Ebola, and "Immune Boosters"
While we may tell ourselves we live in a time of enlightenment, when it comes to our health, one walk through a pharmacy or health food store's aisles of Dr. Oz-esque nonsense and nostrums, and it's easy to see we're certainly not all the way there yet. "I carried a blue canvas handbag crammed with wallet, laptop, two cellphones, passport, change of clothing, bleach wipes, and two Ziploc bags full of the malaria pills and immune boosters I had been taking for the two weeks I had been covering the Ebola outbreak". 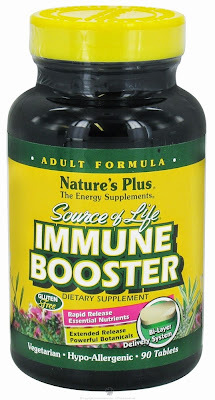 To date, there are no products that I'm aware of that have been found to have a direct connection between their ingestion and heightened immunity. Sure, there are some theoretical connections (probiotics for instance), but nothing that would make me not scratch my head about the New York Times' journalist (and her editor) who felt that including a casual mention of "immune boosters" as if they were, akin to malaria pills, real and obvious things to pack (and take), in an article about Ebola, during a time of knee jerk medical paranoia, was in the public's best interest. "If you really, truly, could boost your immune system, you would almost certainly increase your risk for thrombotic events." The reason there would be risk is that a genuinely boosted immune system is pro-inflammatory which in turn would increase your risk of thrombotic events (like strokes, heart attacks, blood clots, and embolisms). That a New York Times reporter is not only comfortable purchasing and taking products purported to "boost" her immune system, let alone casually including a mention of them in her article (and having that casual inclusion get past her editor), is a true testament to us needing far more regulation when it comes to our aisles of nonsense.